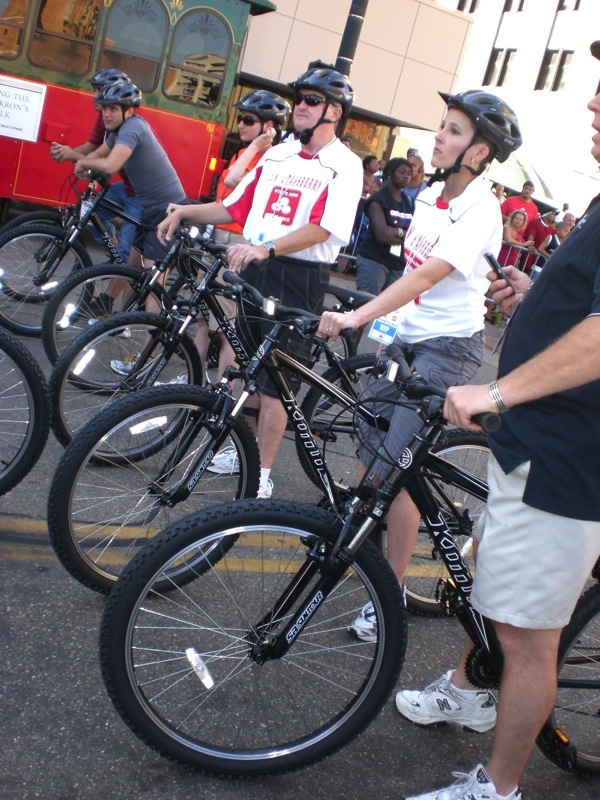 The best way to cruise through the little city of Akron, OH is by bicycle. 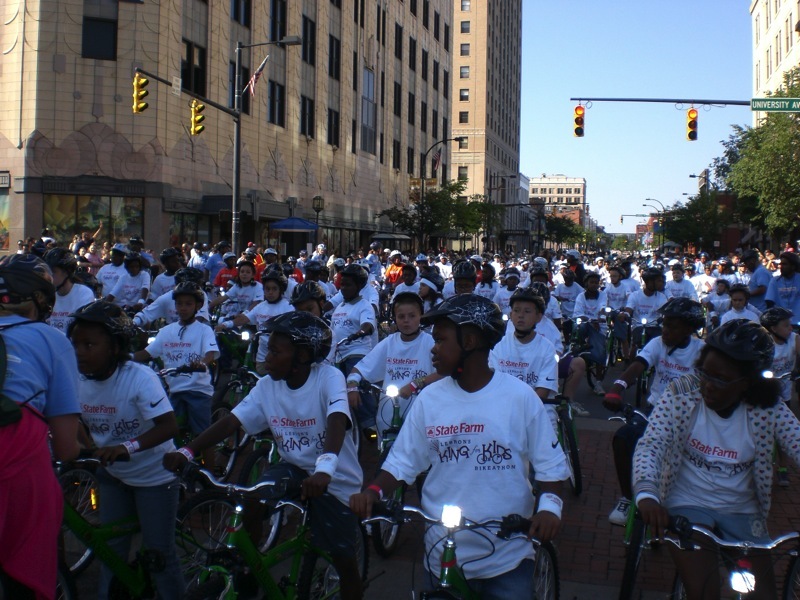 Just ask the 400+ deserving kids who got to experience two-wheeled bliss on their brand new bikes this past weekend in Akron. 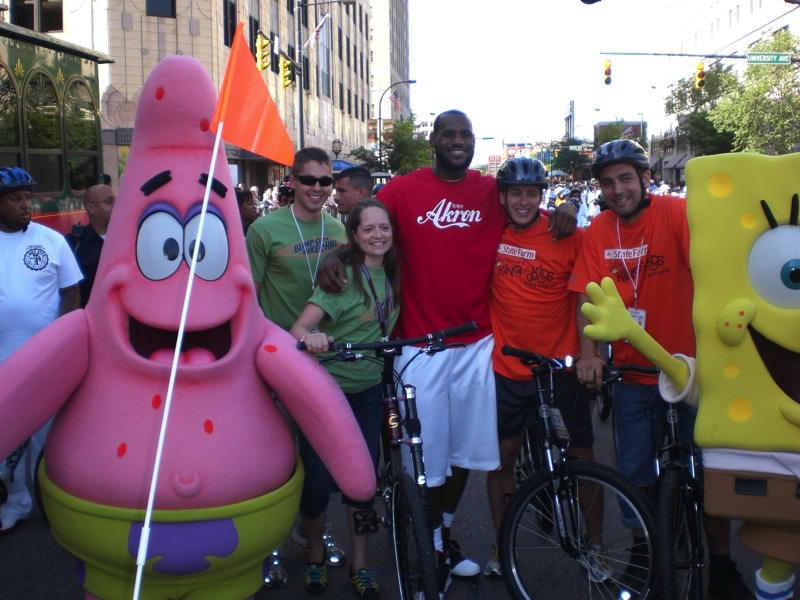 These kids got to pedal their city’s streets – some for the very first time in their lives – thanks to a generous donation by locally-grown basketball star, LeBron James and the many sponsors who support the annual King for Kids Bike-a-thon. 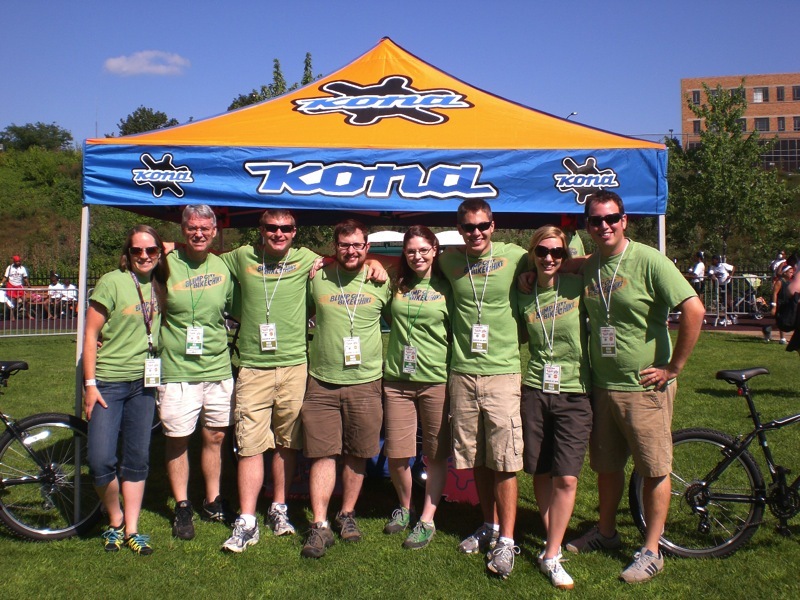 One outstanding donor was Kona’s own Blimp City Bike and Hike, Akron’s premier dealer for outdoor adventure gear in Akron, OH. This local, family-owned shop took on the cumbersome task of getting all of those kids bikes and helmets ready for the big event. 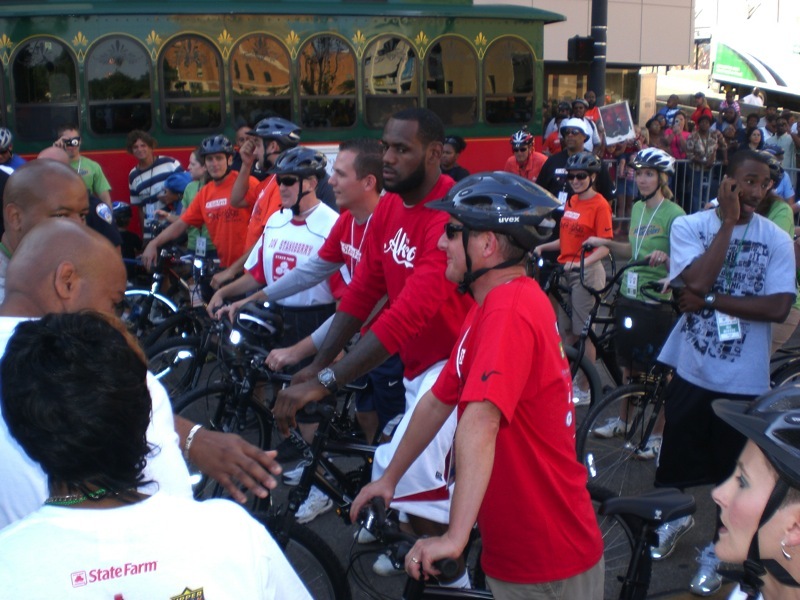 On top of the hundreds of kids’ bikes they also supplied a mean fleet of Kona Lanais for the many James family members and friends who chose to ride alongside LeBron and the joyful kids during the bikeathon. All of us here at Kona hope you feel inspired by the spirit of the event and by the generosity of so many hard working people. We hope that the next time you set out to ride your bike you bring along a kid (or a few) and show them the road to two-wheeled fun.